Stay stylish while staying fit! Garmin’s vivoactive 4 is available in 4 stylish colors and is sleek enough that it doesn’t look out of place on your wrist. Monitor sleep, steps, heart rate, stress levels and more! Fits Wrist Sizes with a circumference of 122-188mm. Don’t let the small size and sleek design of this wrist worn powerhouse fool you. The Garmin Vivosmart 4 is built to keep you in touch with your personal wellness, daily fitness, and sleeping patterns, and offers a battery life of up to 7 days so you never miss out on what’s important. Your Vivosmart 4 is also built with an advanced sleep monitoring system to show sleep patterns and movement through the night so you can easily review and compare sleep stats through the Garmin Connect app on your mobile device. Get vibration alerts for all notifications including calls, text messages and more (text replies available for Android device users). 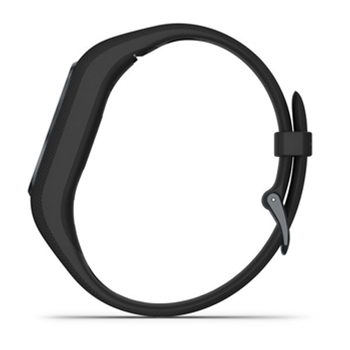 The Vivosmart 4 keeps you connected through all aspects of your day with smart notifications, the ability to control music, checking the weather, as well as the ability to see social media connections right on your wrist, all while keeping your phone stowed away. Built with an auto-adjust for different lighting levels, your Vivosmart can automatically adjust itself so you can easily see the display at night, in sunlight, or anywhere your adventures take you. 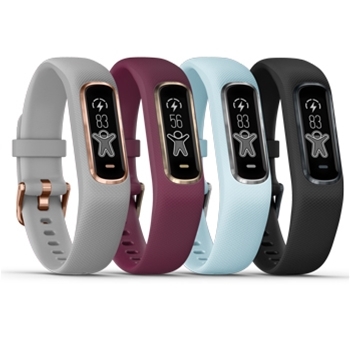 Available in 4 colors – The Vivosmart 4 includes a built in heart rate monitor offering wrist based heart rate technology all throughout your day, no extra strap required, making monitoring heart rate levels easier than ever and more comfortable. Now built with the ability to set an abnormal heart rate alarm you will be notified as soon as your Vivosmart 4 registers an irregular heart rate. A wrist-based Pulse Ox estimate sensor lets you check blood oxygen saturation anytime during the day - or turn it on while you sleep. A Body Energy Battery monitor helps you know when you're primed to be active or when you need to rest. Purchase the Vivosmart 4 for an added peace of mind with every aspect of life you encounter. Stay stylish while staying fit! 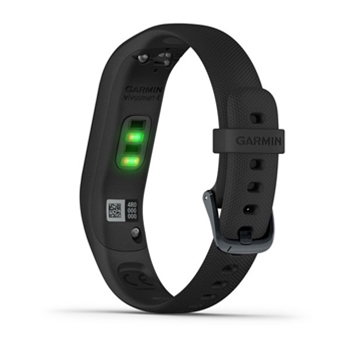 Garmin’s vivoactive 4 large band is available in midnight black and is sleek enough that it doesn’t look out of place on your wrist. Monitor sleep, steps, heart rate, stress levels and more! Fits Wrist Sizes with a circumference of 148-215mm.